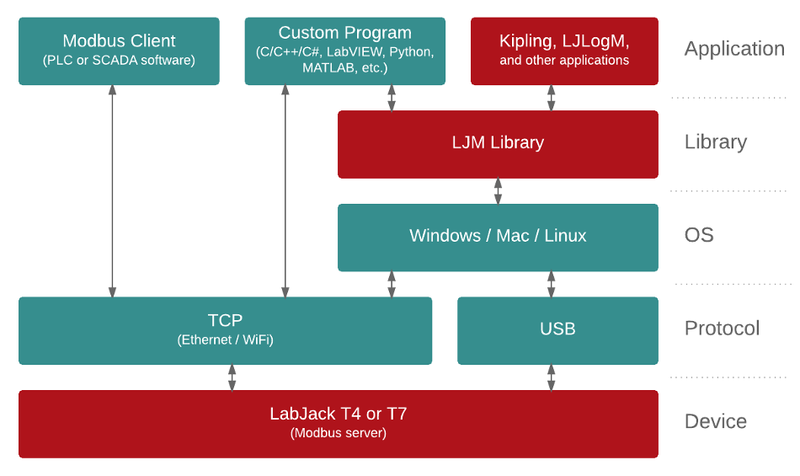 LJM is LabJack's free, cross-platform driver / library for simplifying device communication. It supports the LabJack T4 and T7 series devices and the LabJack Digit-series devices. See the LJM installer page to download. See the LJM User's Guide. Modbus Name-To-Address interpretation - ability to interpret LabJack register names such as "AIN0"
Basic demo mode for testing without a physical device. Support for Windows, Mac OS X, and Linux allows for the same code to be run on different operating systems with the same results, whether it's on your Windows desktop, MacBook laptop, or Raspberry Pi running a distribution of Linux. Written in C++ with a C API, LabJack maintains and supports wrappers for many programing languages. For more LJM C/C++ code, see the C/C++ Examples page. 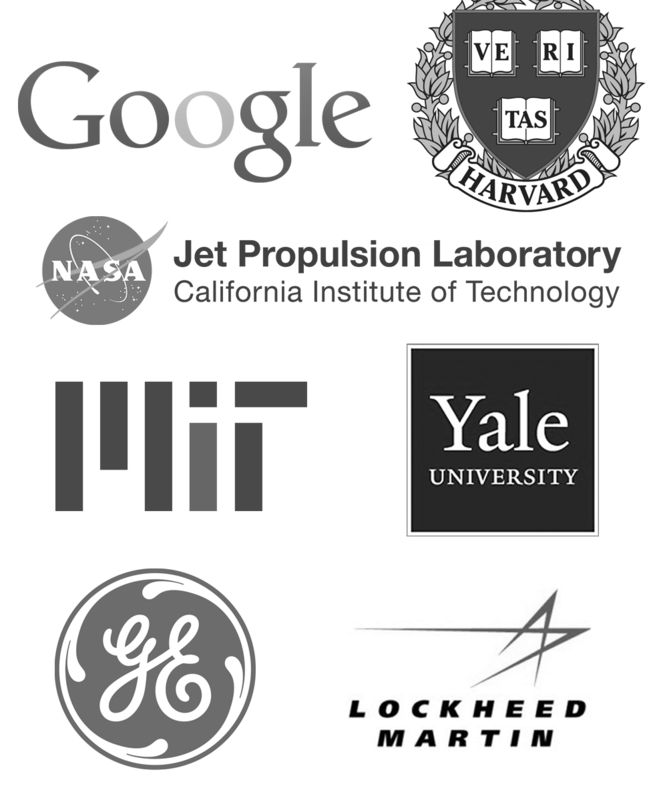 For more LJM Python code, see the Python Examples page. For more LJM MATLAB code, see the MATLAB Examples page. For more LJM C# .NET code, see the C# .NET Examples page. LJM's API allows for easy integration into most languages. If the language you use isn't currently supported, feel free to contact us for assistance in integrating LJM into your project. You don't need to be familiar with Modbus to use LJM. Simply use LJM's Easy Functions for direct access to all the features your LabJack device provides. If you do prefer to use Modbus, LJM's Raw Byte Functions provide byte-level control to manually send and receive Modbus packets. Using LJM's name-to-address map, you can communicate with LabJack devices using the readable names of data values, such as "AIN0", "AIN0_RANGE", "ETHERNET_IP", or "WIFI_STATUS". You can easily look up Modbus registers on the Modbus Map page. on the network or on a USB hub? Filter based on connection type. Just want to open any LabJack Digit, T4, or T7? Filter based on device type. Got a network with static IP address? Open by IP address. Got a T4/T7 on a DHCP network or on a large USB hub? Open by serial number. but you still want to open a particular device? Customize the behavior of the LJM library to fit your needs. See the full list of Configuration Parameters. LJM also has a detailed User's Guide and plenty of example code in multiple programming languages.